A: Chiropractic is a natural form of healthcare. The word “Chiropractic” is derived from the Greek words “cheir” and “praktikos” meaning “done by hand.” Chiropractic is a branch of the healing arts based upon the understanding that good health depends, in part, upon a normally functioning nervous system. When the nervous system is impaired through illness, injury, or stress it can cause tissues and organs throughout the body to function poorly. Doctors call this degenerative chain reaction the vertebral subluxation complex. It is an underlying cause of many health problems. Spinal manipulation, a gentle, painless, low-force technique unique to chiropractic physicians, is used instead of drugs or surgery to promote the body's natural healing process. Chiropractic is the #1 choice in alternative healthcare and is the fastest growing healthcare system today. For good reason--it gets results. A: Injury, stress, or chronic pain most often are the reasons people seek chiropractic care. Although chiropractic is used most frequently to relieve low back pain, studies have found it to be effective for a variety of conditions, such as migraine headaches, neck and shoulder pain, carpal tunnel syndrome, fibromyalgia, and various other musculoskeletal conditions. With a program of regular spinal maintenance, many patients recover a degree of health and vigor greater than they enjoyed before their problem occurred. A: All ages can enjoy healthier living through chiropractic care. For seniors, improved spinal function can mean better mobility, endurance, appetite, and an improvement in many age-related ailments. Children and infants also can benefit. Because spinal trauma can occur at birth and later childhood activities also may cause spinal problems, most parents prefer to have their children checked regularly. A: We would like to welcome you to our practice by offering you an in-depth consultation with Dr. Hatfield. After the consultation he will perform a thorough examination, which may include x-rays and other diagnostic procedures. After the initial visit, the doctor will review his findings to develop a treatment plan tailored specifically for you. Dr. Hatfield's recommendations will often include life style factors that affect your overall health. Dr. Hatfield's treatment may also include adjunctive therapies, depending on your state of health. The effects of your treatment may be immediate or they may take time. Again, all is dependent on your current overall state of well being. A: When performing an adjustment (spinal manipulation), your doctor applies precisely directed force to a joint that is “locked up” or not moving properly. Restoring normal motion to joints can allow bones to gradually return to a more proper position and your body to function as it should. This safe, natural approach to removing interferences with spinal and nervous system function can improve your overall health. This is not to say, however, that all adjustments are the same. Just as chiropractors are different individually, so are the many techniques. Usually the doctor's hands or a specially designed instrument deliver a quick, therapeutic thrust to the affected joint. Other techniques may require slow, constant pressure. 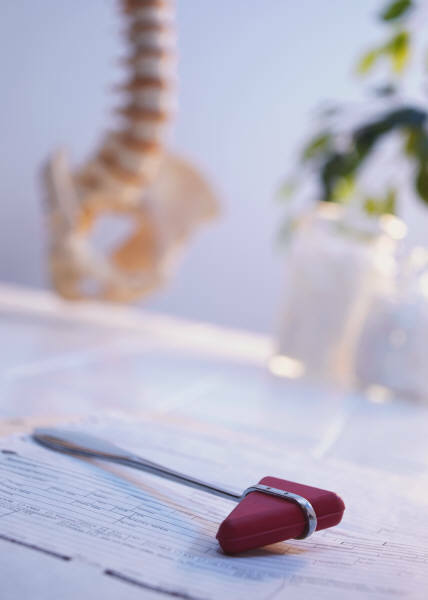 Based upon years of training and experience and careful evaluation of your unique spinal problem, the doctor will recommend an individual program of care. Q: How does the Adjustment work? A: Chiropractic has an excellent safety record. While it's not unusual to hear of injuries from mis-prescribed drugs, drug overdoses, drug combinations and erroneous treatments in the medical profession, it is extremely rare to hear of a problem resulting from chiropractic care. According to a government study in New Zealand, chiropractic care was found to be "remarkably safe." Guided by a thorough case history and examination, your doctor will evaluate your individual needs and determine a course of treatment. This conservative, natural approach to better health avoids the dangers associated with invasive procedures and addictive drugs. Q: What is maintenance care? A: Regular chiropractic check-ups are as important as regular dental check ups for wellness. You should have them even if you "feel" well because they help prevent future problems and help to maintain your good health. Dr. Hatfield's recommendations for your care are the same as those he would make for members of his own family under the same circumstances. We want you to remain well! A: We understand our obligations to our patients as consumers, and therefore, our fees are set. Our qualified staff has made every effort to help keep down the cost of your wellness care. We accept major credit cards for your convenience. Please do not consider information contained on this website as medical advice for your particular case. This website contains data which is for information only. Proper diagnosis and treatment recommendations for your particular condition can only be achieved from proper history documentation and a physical examination. Diagnostic testing--including but not limited to X-Ray examination--may be required.